I've used the sketch from Sketch and Stash but I turned it and then I used this cute LOTV image. The papers I brought from The Range when I was staying at MIL love the green and blue pack but a couple of the others manage to come home with me too. I thought the picket fence border punch from Martha Stewart would look cute, love it when I'm right. Not too sure on the ribbon but it was the nearest colour I could find. The sentiment is from LOTV too. Wonder if you could call this Spring like them I could enter it in the LOTV challenge too. Another week with my head down busy doing DT stuff but just need to get this week over and everything back to normal. 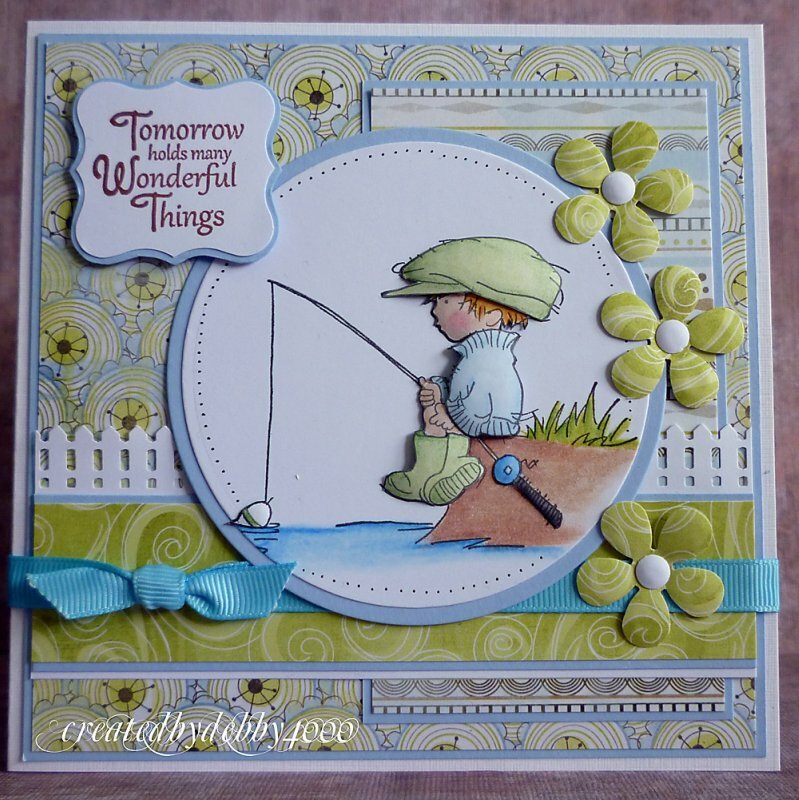 Love the card, sketch, colors, stamp, fencepunch!! On the photo, the color of the ribbon looks good!! Have a good week Debby!! Beautiful card Debby,I love the image and the colours. Beautiful card, what a cute image, great sketch and lovely DP. your card is wonderful like all your works! Gorgeous card! Love the LOTV image!!! Looks like spring to me! I love the papers and the picket fence is divine. That is a stunning card Debby! Looks amazing! your card is realy fantastic. love the pretty and fresh colors! beautiful card as always, Debby! love it! This is so cute Debby!! What a lovely image, gorgeous card! HiDebby! oh im late today!!!!!lol!! anyway LOVE the card,it's so gorgeous as usual!!! Gorgeous card, Deb! it's always with great pleasure that I pop in see your special creations! love the way you pop up your images and your amazing coloring blows me away! I love LOTV stamps and I just have to marvel at your creation here! 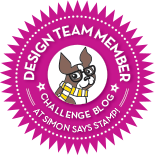 Debby this is sooooooo cute, I love your 3D work and the colour combo looks great too! I love the papers and gorgeous colours on this wonderful card. The image is beautiful. Wonderful card. Oh wow Debby,just love it! Love this card! Sooooo cute! Wish we could come over and do some cardmaking with you. Gorgeous card Debby, fab take on our sketch. Oh Debby I always think your creations are gorgeous, you have such a fantastic cardmaking style!! Wonderful design, I just love it!!! What a wonderful card! I like the papers and your coloring! It's just perfect. I see you are alwasy busy with your beautiful creations! Love to come by and see your beauties! wow, so gorgeous Debby, I love this sweet image and you have just taken him to a special place with your 3d-ing! Very lovely boy card, Debby! I love your embellishment too. Hi Debby - I love your card - the papers and colours are gorgeous and the picket fence looks perfect. Aww, sooo cute Debby. Very yummy papers and the picket fence is gorgeous. Debby this is adorable! Love your colors and layout, really beautiful! Never read the other comments, so not sure if I am repeating anyone. What a great card, I love the way you paper pierce, the colours are great and I also love the way you punch the flowers in matching paper. Loving this one Debby, fabulous colours and great layout! Oh wow love the green and blue combo and the Marth Stewart picket fence border...GORGEOUS! One of my favourite LOTV images too - I use it all the time for male cards! Love the mix of blue and greens, and you were so right about the picket fence. Stunning card Debbie just so loce the colours you have used. Great compliment, your card is really beautiful. fabulous card Debby love the papers and the colours. This little guy timplifies Great Britain with his little cap and you sure did him justice with your creativity, Debby. Debbie! All I can say is you are one amazing stamper!! Love your card! Thanks for joining the LOTV challenge this week!